At Kostelac Grease Service we understand that sometimes your restaurant’s bulk bin area can get a little messy due to trash and grease spills. KGS offers power washing for our customers to guarantee that your business will always look its best. 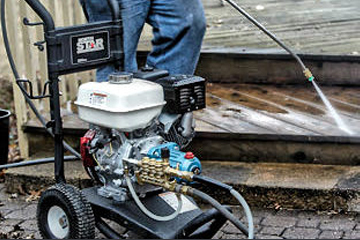 Our company uses mobile power washing units that can blast away dirt, grime, and grease from your bin area. We also have degreasers that help to remove grease stains on concrete. Contact us to learn more about Kostelac Grease Service.